An event large enough to make any fruit green with envy, the Twenty-Fifth Annual California Avocado Festival recently took root in Carpinteria. With the tag ling of “Peace, Love and Guacamole” festival goers were able to enjoy three days of music, shopping, and of course avocados. Beginning as an idea in 1986, the festival now enjoys roughly 100,000 visitors. Organized and run by a committee of volunteers, it has grown to become one of the largest festivals in California and a popular tradition for the Carpinteria community. “My favorite part of the festival is interacting with the avocado growers and the people who come to learn more about them,” said Trisha Shade, a festival volunteer. 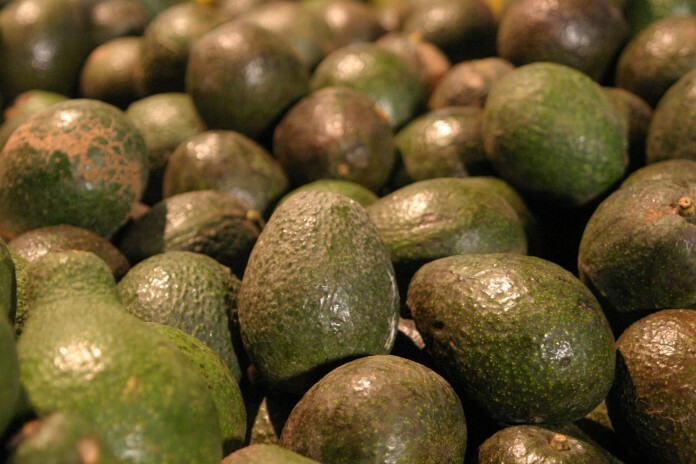 There was certainly no lack of the pitted green fruit, as Santa Barbara is the largest avocado producer in North America. Representatives from the California Avocado Commission ran information booths about proper growing techniques and local farmers were able to sell their goods. A popular tradition of the festival is the competition for the largest avocado. This year’s winner weighed in at 2 pounds and 7 ounces. At the festival’s end, the three largest avocados and a variety of other avocado themed goods are auctioned off. The festival offered a variety of culinary choices, but the beloved avocado dishes were the dominant force. Beyond crowd favorites such as guacamole and avocado burgers, one could also test their taste buds with avocado sweet pie and avocado ice cream. The California Avocado Festival is not only a foodie extravaganza, but also a community event with a large focus in the arts. A variety of children’s art could be found around the fairgrounds, including paintings and avocado dioramas. The dioramas were provided by the Carpinteria Family School and included surfer, Santa Claus and zombie avocados. Each day also featured a variety of musical acts performing on one of the three stages. One such performance was by Pepe Marquez, who had the entire guacamole eating crowd on their feet to “Tiburon, Tiburon.” Another crowd pleaser was the Santa Barbara funk band Sprout, who played on the main stage Friday evening. “I loved dancing to Sprout; they were really fun,” said fourth-year global studies major Caitlin Borzi. A tradition likely to continue for many years, the California Avocado Festival is a great opportunity for avocado lovers to unite and enjoy their favored fruit. Music, food, and an outpour of community support were just some of the factors that caused this event to be quite a-peeling.